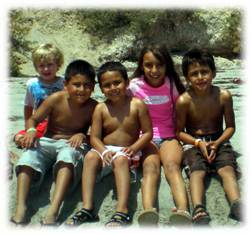 Los Angeles Summer Camp | Aloha Beach Camp Blog: Malibu Summer Camp? Los Angeles Summer Camp? Which is It? Malibu Summer Camp? Los Angeles Summer Camp? Which is It? Someone just called to ask that very question. Our answer? We're both! Aloha Beach Camp is a Malibu summer camp and surf camp. We're also a summer camp in Los Angeles. I guess I've always thought of Malibu and L.A. as the same place. No matter where you live in Los Angeles, though, you'll still be able to enjoy Aloha because we offer daily transportation for all L.A. area kids.